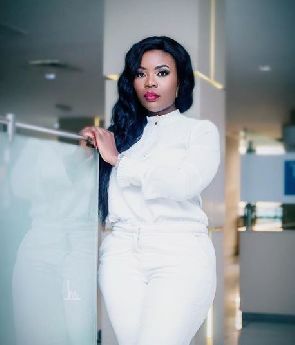 Ghanaian television personality, Delay reacts to the claim that some ladies say men demand to chop them down before giving them jobs. Moreover, she took the opportunity to express her view on this matter. According to her, any female who allow their bosses or their superiors to “open fire” before giving them job opportunities are lazy girls. This is because they cannot work hard for what they want. Delay stated this during the International Youth Summit held at the National Theatre. “I personally didn’t face that challenge of ‘I want to sleep with you, it’s not like I don’t have a banging body, I have a banging body. I always feel like when three girls are walking, there is always that girl that everyone wants to sleep with because of how she carries herself. “When men see cheap girls, they see. Therefore, if you give them that space they will always take advantage of you. We are always blaming people saying that person wants to be with me because at times we don’t carry ourselves well.